I have been eating my feelings lately. By that, I mean I find myself sitting in bed at 11:00 pm with a bag of potato chips and a chocolate bar. I always feel terrible afterward, but there are times when I fall back into old patterns, and lately I’ve been finding myself there a lot. 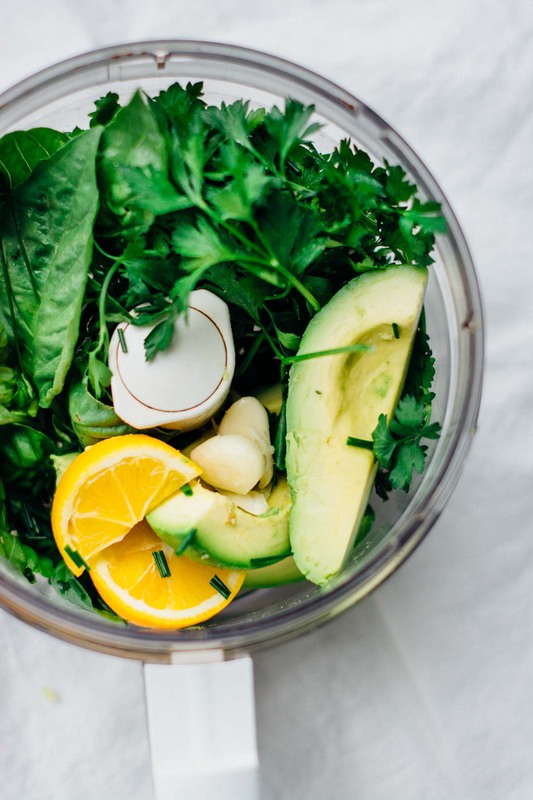 I try to keep my diet full of variety and focus on healthy whole grains, veggies and a little protein, but I have always struggled with food in general. Food has always been something that I comfort myself with in times of stress and turmoil, and that is a habit that will probably always be with me. I am more likely to make healthy food choices if I have things already prepared and waiting for me when I open the fridge. Planning your meals for the week can affect the food choices you make. 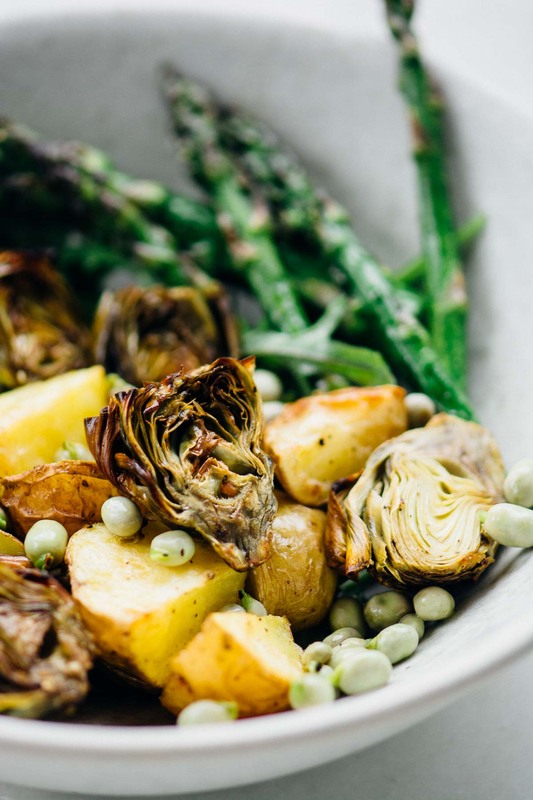 Roasting a big batch of veggies on the weekend sets me up for healthy eating, and it’s so much easier to make good choices when I don’t have to face cooking when I’m tired or out of sorts. Throw in a good snack or two and suddenly those potato chips aren’t calling to me as loudly as they were. I love bowls, bowls loaded with things like cauliflower, butternut squash, mushrooms and beets, and after a trip to the farmers market this weekend I picked up some of my favorite Spring veggies to put into a bowl. 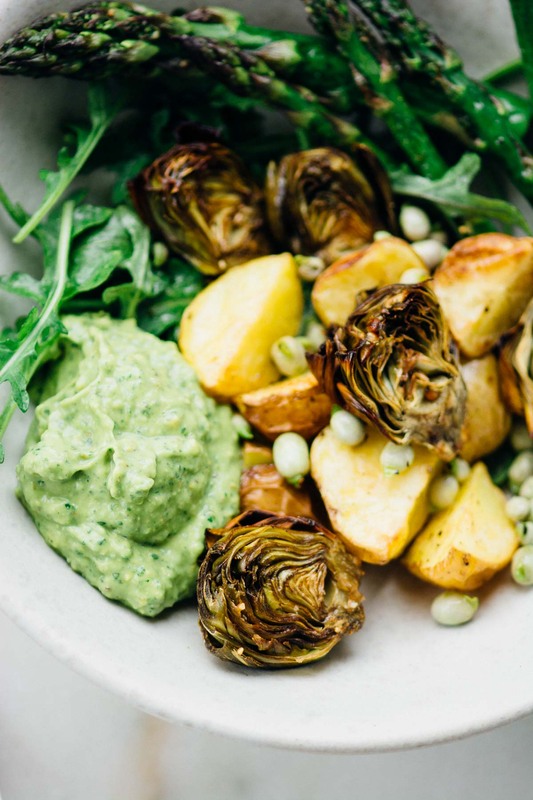 The real star of this dish though is the green goddess dressing. 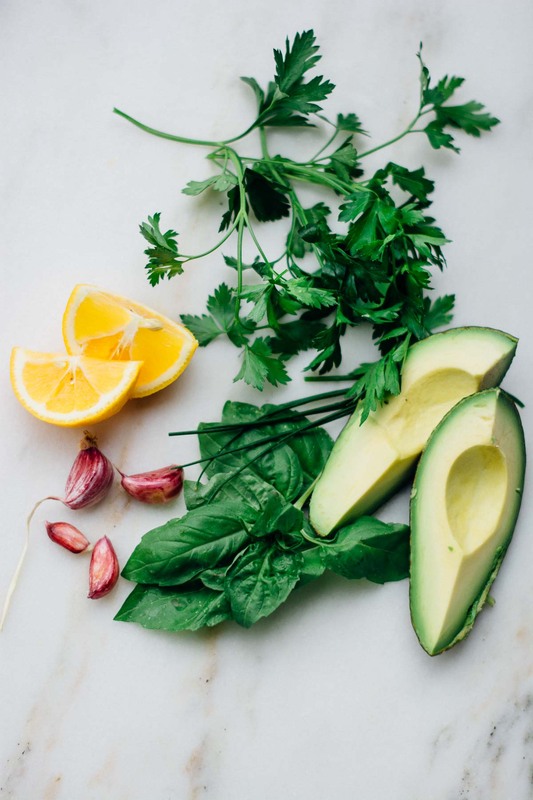 A whole avocado, lots of fresh herbs, a little garlic, some lemon, and pistachios and then process until smooth and creamy. 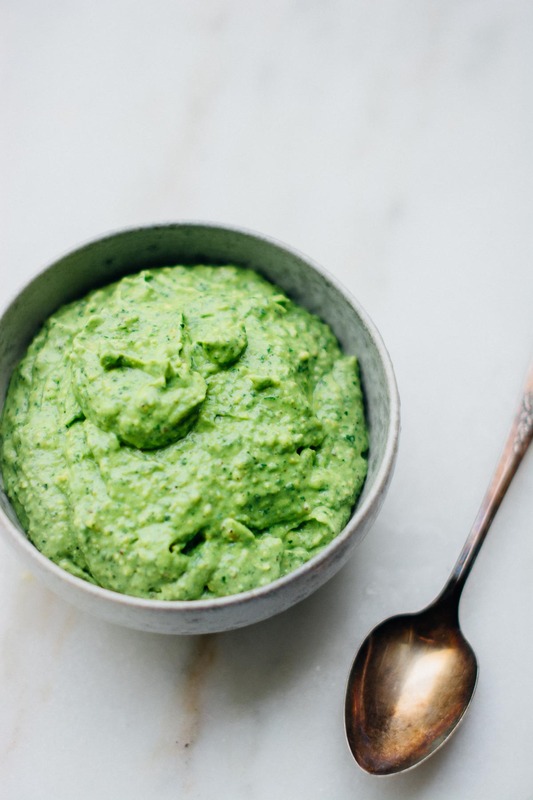 It’s great on roasted veggies but also makes a great base for a tartine or an alternative to guacamole. Artichokes can be intimidating. I have to admit that I have always avoided prepping them, but they aren’t that hard to work with, they just require a little bit of love and patience and are so worth the effort. 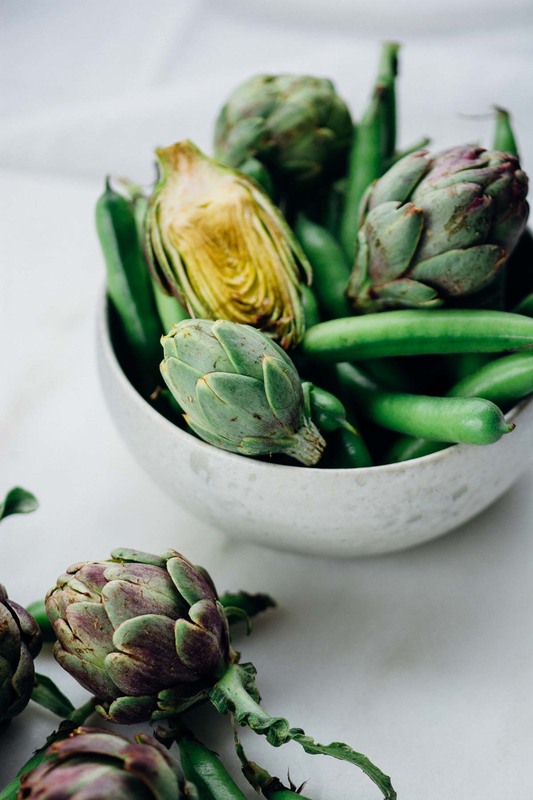 In the spring when baby artichokes are available they are easy to prep, just peel the outer layers until you get to the tender leaves, trim the top and stem and then cut them in half. Keep a bowl of water with a squeeze of lemon juice nearby to put them in after you cut them to prevent oxidation. If they are young they shouldn’t have developed a choke yet; it’s that fuzzy bit that’s right above the heart. 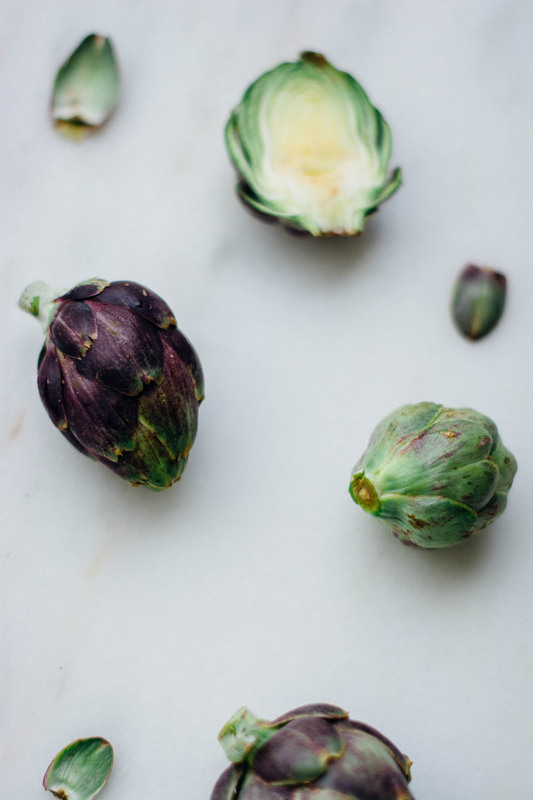 If the artichokes are on the older side, you want to remove the choke with a spoon or melon baller before adding them to the lemon water. Fava beans are one of my favorite spring vegetables. I was lucky enough to get my hands on some tiny, baby Fava beans so I didn’t need to double shell them. You could use mature Favas, and it’s up to you if you’d like to double shell them. Since you are roasting them over high heat and as long as they are fresh, you don’t have to remove the skins. If you choose to double shell the Favas you need to blanch the beans in boiling water for a minute or two and then they will slip right out of their skins. You could also use fresh or frozen peas instead to save time or if you can’t get your hands on fresh Favas. 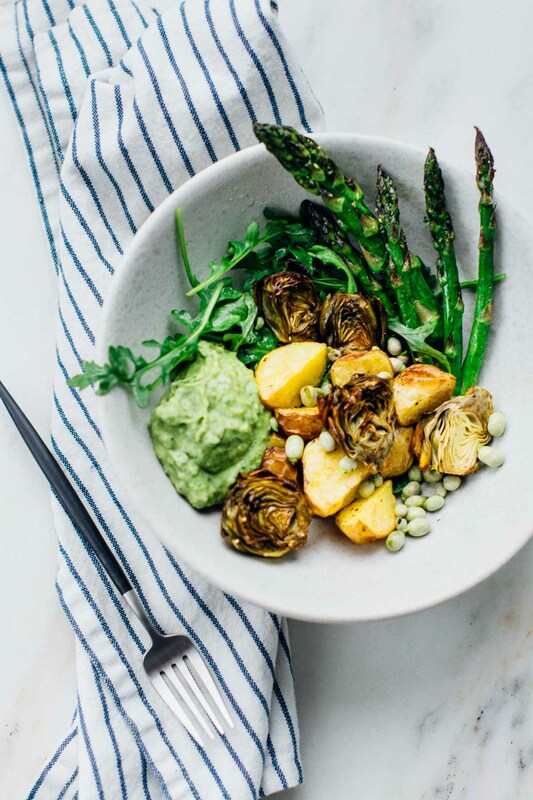 This vegan bowl has all my favorite spring veggies and is topped with the most amazing 5 minute green goddess dressing! Pre-heat the oven to 400 degrees and line two baking sheets with parchment paper. Prepare a large bowl of water with half a lemon squeezed into it. This will keep the artichokes from turning brown. Trim the artichokes first by removing the tough outer leaves. The key is to get to the tender part of the artichoke and it may take removing more leaves than you think. Don't worry if you feel like your artichokes are shrinking, they'll be delicious and so worth the effort. 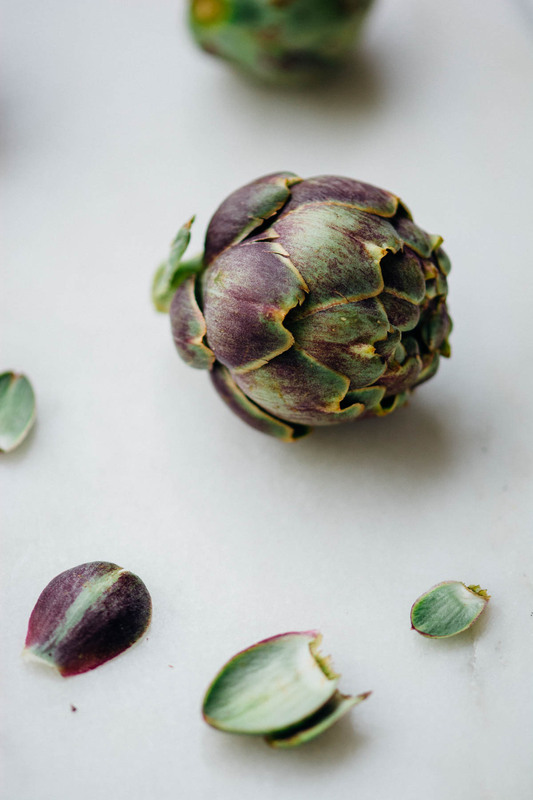 Once you've taken the leaves off trim the stem end, cut the top off and then cut the artichokes in half and add to the bowl of lemon water. 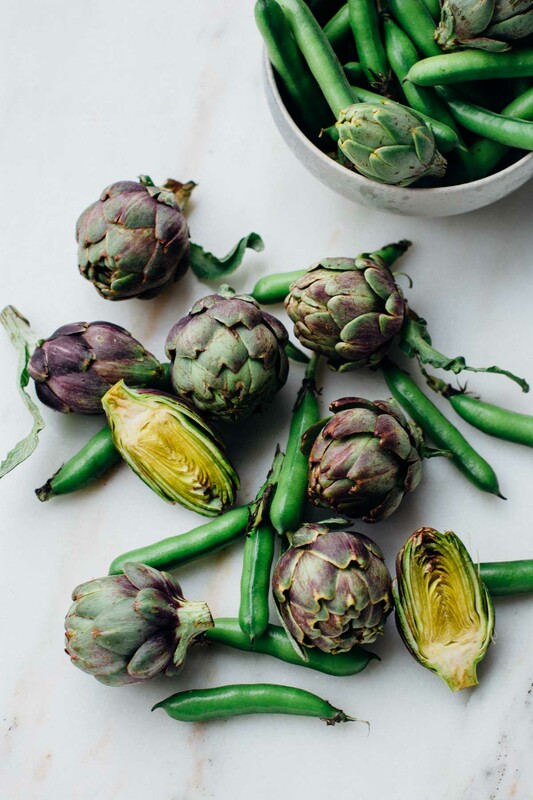 Repeat this step for all your artichokes. Cut your potatoes into quarters (you want them to be roughly the same size as the artichokes.) and add them to the baking sheet. 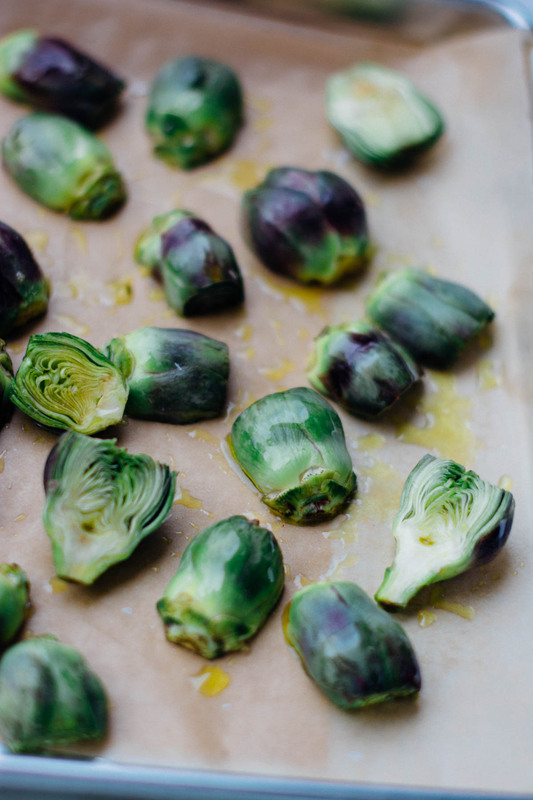 Drain the artichokes and add them to the baking sheet as well. 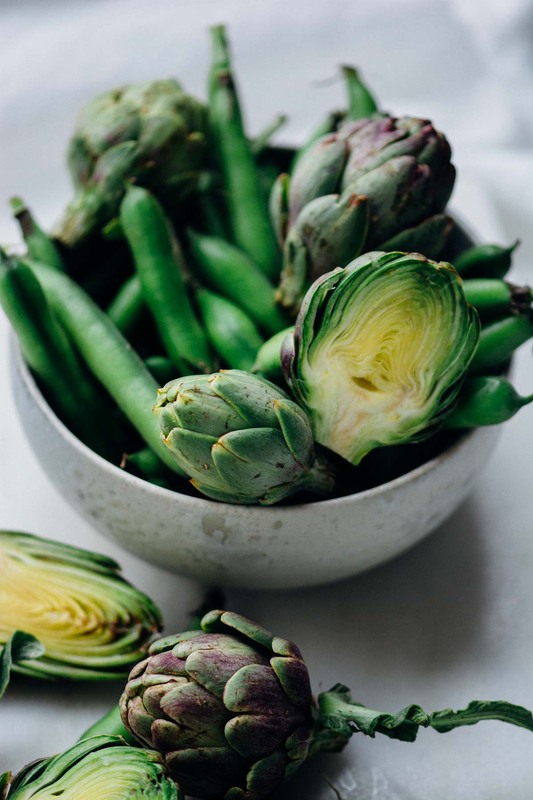 Drizzle the vegetables with one tablespoon of the olive oil and season with salt and pepper. Roast for 20 to 25 minutes until the artichokes and potatoes are tender when pierced with a fork and starting to get crispy. 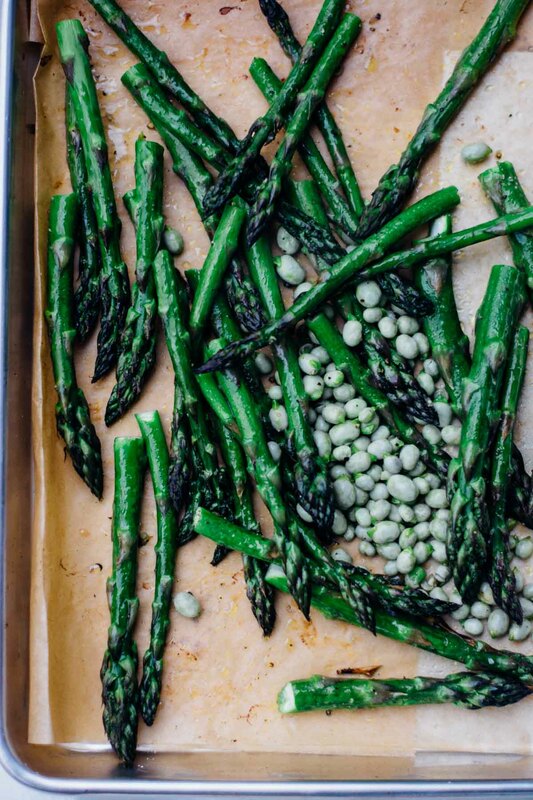 The last 10 minutes of cooking add the asparagus and Favas or peas to the second cookie sheet along with the remaining tablespoon of olive oil. Season with salt and pepper and add to the oven and cook until tender and just starting to get some color on them. 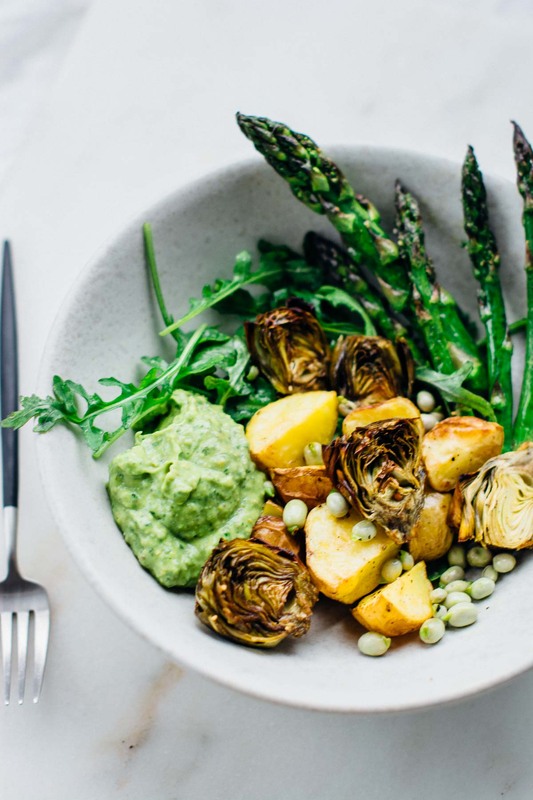 To serve place a cup of arugula in a bowl, top with a quarter of the veggies and serve with a big spoonful of the green goddess dressing. Save the extra dressing as a dip for your favorite veggies, on top of eggs or in place of guacamole in your favorite recipes.